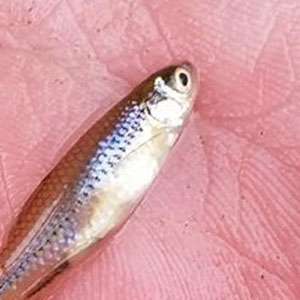 A small, stout minnow, the Topeka shiner is only 3 inches in length. Its back is olive green with a dusky stripe down the middle and a silvery-white lower half. 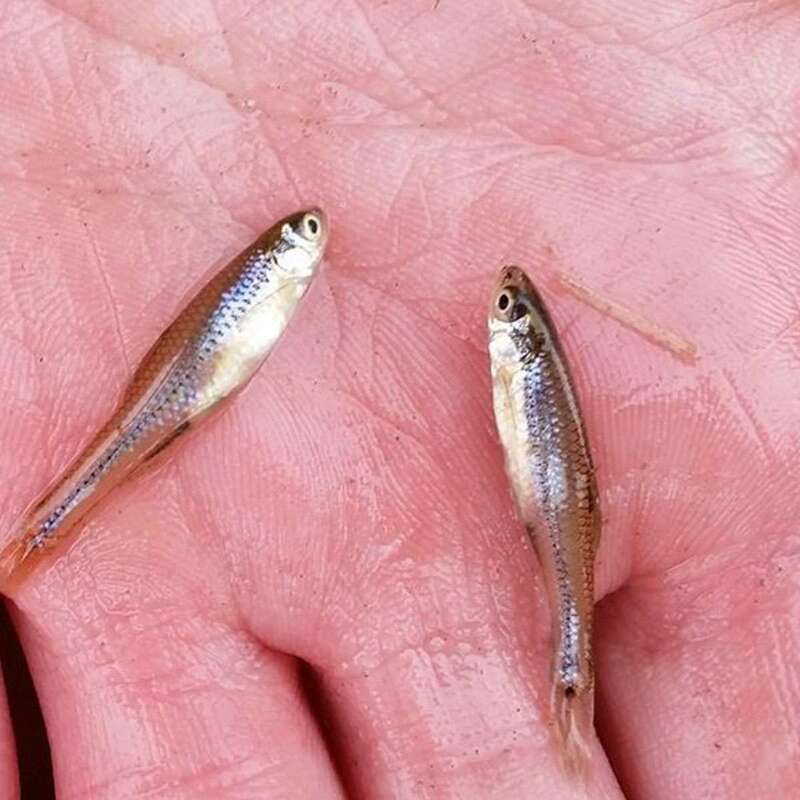 Schools of Topeka shiner are most often found in cool prairie streams with clean gravel or sand beds. They prefer the open waters of pools and runs, avoiding rough water. Historically the Topeka shiner was found throughout the central Great Plains and western tallgrass prairie regions, stretching from South Dakota and Minnesota south to Kansas and Missouri. When the fish was listed as endangered in 1998, it was occupying less than 10 percent of its original range. Agricultural and urban development have negatively impacted the Topeka shiner’s habitat. Increases in silt and pollution, the diverting and damming of streams, and the use of water for irrigation have decreased the availability of the cool, clean water that the fish needs. Local land managers are monitoring populations of Topeka shine in Minnesota and other states in the its range. Coordination between federal and local agencies has helped to limit the impact of threats like groundwater pumping on fish populations. Scientists are also developing a captive population that can be reintroduced to historic habitat.